These was pretty exciting, and super easy. 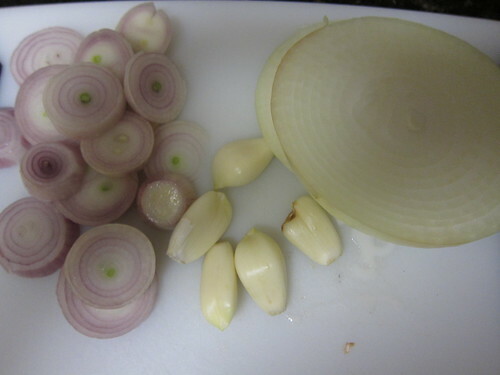 9:45 am – Slice an onion and several cloves or garlic. I also added some shallots because I only used half an onion. 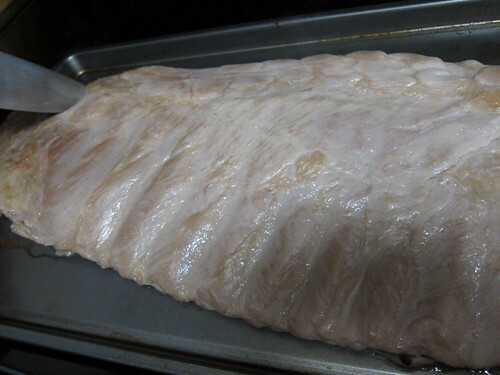 Put ribs in the broiler for about 15 minutes to get some of the fat off. 10:00 am – Pile the ribs into the slow cooker. Be careful they are hot, but it was helpful to cut them into semi-serving size pieces. Layer the onions, shallots, and garlic with the ribs. 10:02 am – Pour Dinosaur BBQ sauce (or sauce of choice) all over the ribs. 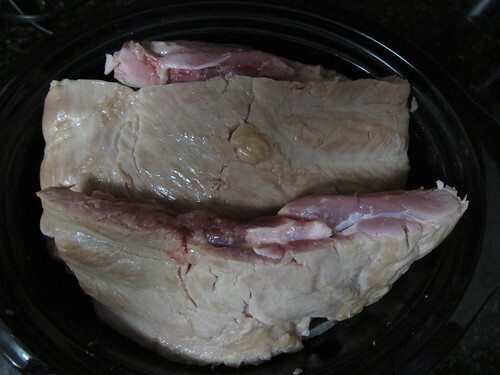 3:00 pm – Gaze at the delicious ribs, not yet cooked completely, through the clear crock pot cover. You may want to rotate the ribs to make sure the top ribs are also cooked. 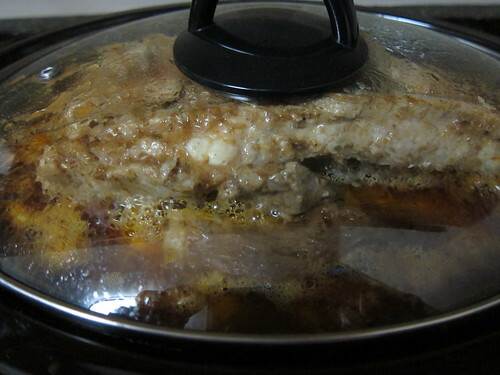 I read several recipes on Cooks.com to know what I was doing with the slow cooker. They all had a theme – about 8 hours on low, sliced onion and bottle of BBQ sauce. The apartment may smell like meat all day, but it was worth it. 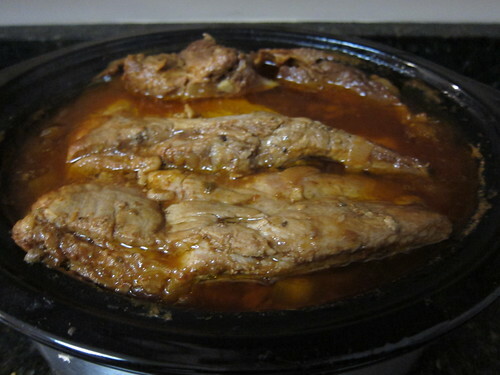 This entry was posted in Cooking and tagged BBQ sauce, Crock Pot, ribs. Bookmark the permalink. 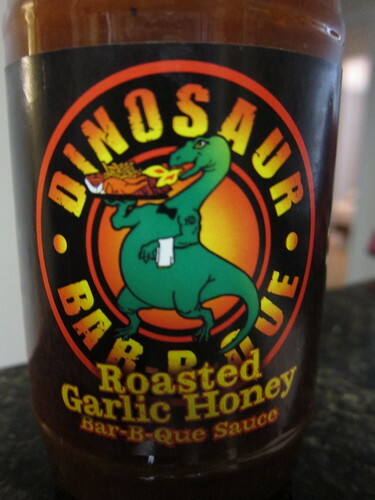 Darn these are all gone, but I do have one more bottle of Dinosaur BBQ sauce.